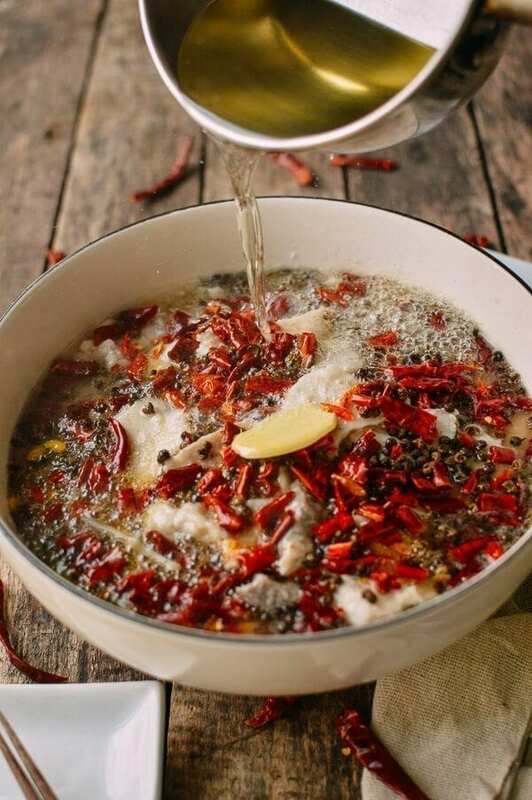 Sichuan Boiled Fish, or shui zhu yu, is all the rage these days. 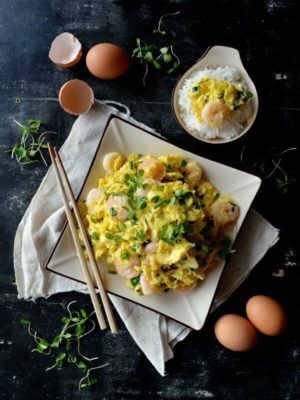 I think it might be THE most popular dish in all of China right now. 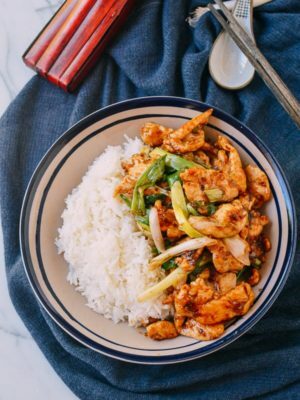 For my part, Shui zhu yu is one of the dishes that I still miss from China, even after I’ve learned to cook many of my favorite foods that are hard to find in the US. 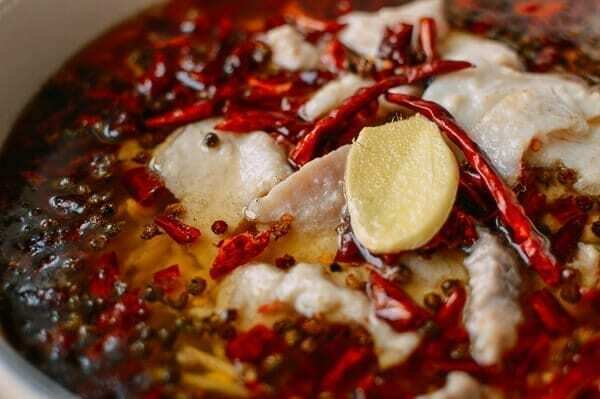 In restaurants, Sichuan boiled fish is usually made with a whole fish––often snakehead, carp or catfish. We would usually order the catfish, because it’s tender and has relatively few bones. The idea of using a whole fish for this post crossed my mind for a brief moment, but I decided not to put you through that struggle. 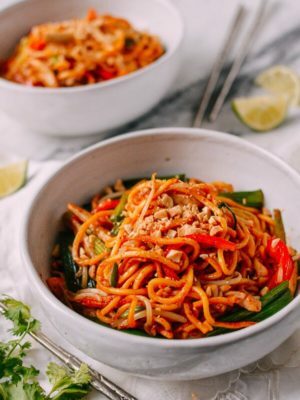 Using fish fillets doesn’t make this dish any less authentic, but it is certainly much easier. 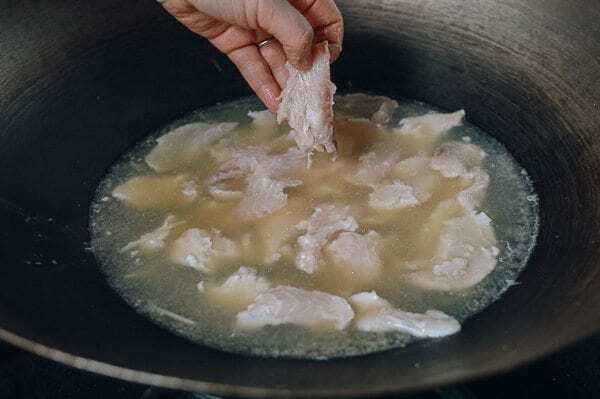 I used tilapia fillets, but flounder and catfish fillets are also ideal. Just remember that the fish must be very fresh, and it’s always better if it was never frozen. 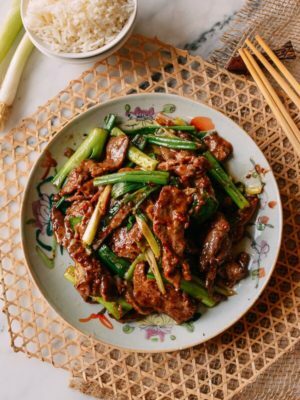 Initially, I thought the cooking method for this dish would be similar to Sichuan Boiled Beef, or Shui Zhu Niu. But it’s actually much simpler. You boil everything, and then hot oil sizzles over the dish in a heatproof bowl. The real key is in the marinade. Once you’ve seasoned the fish correctly, you’re home free. 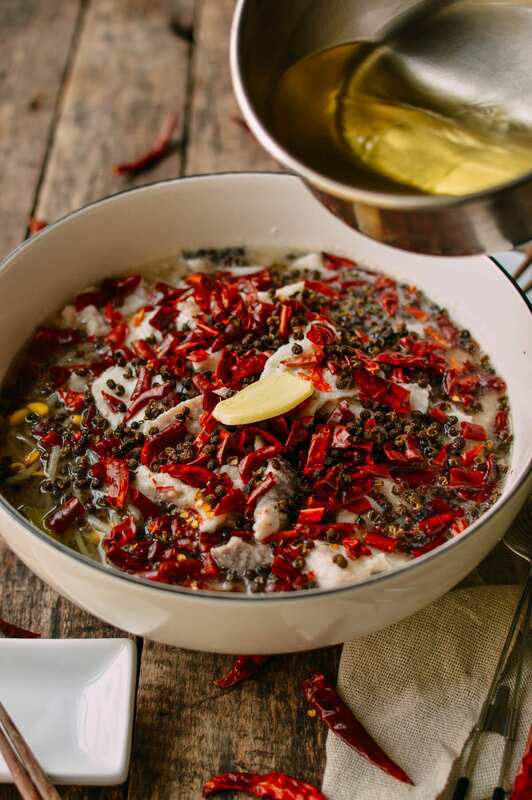 Just know that this Sichuan boiled fish recipe is pretty heavy on the chili and Sichuan peppercorns (麻椒), so reduce accordingly if your taste buds are less tolerant. 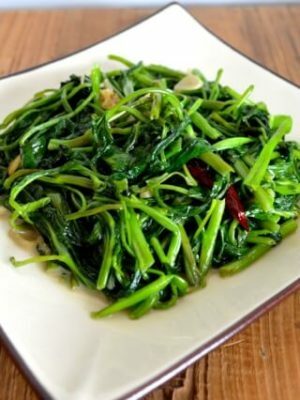 Also, to clarify, we’re using the green Sichuan peppercorns (麻椒), which are different from the red Sichuan peppercorns, or hua jiao (花椒), in color, taste, and smell. They are much more numbing and a bit more floral/herbal than their red counterparts. 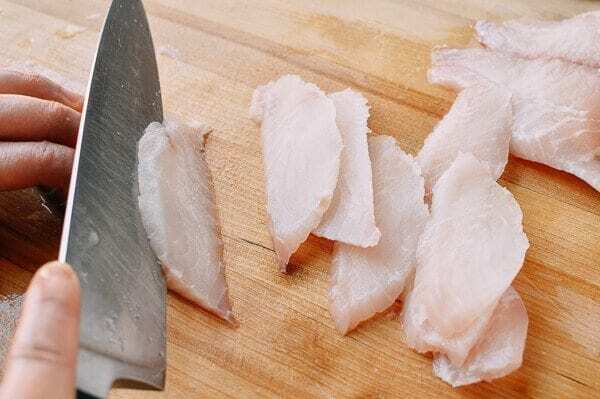 Cut the fish into ¼-inch thick slices at a 45-degree angle. The goal is to get pieces of fish with a lot of surface area, as they’ll shrink once cooked. Next, marinate the fish. 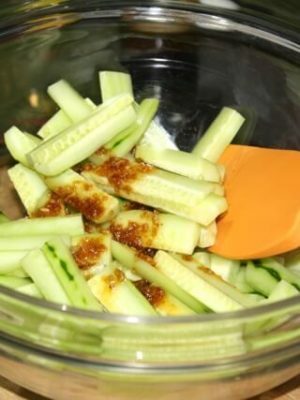 Add 3/4 teaspoon salt, ¼ teaspoon ground white pepper, and 1/2 tablespoon Shaoxing wine. Mix everything well. Next, add the egg white and mix, followed by 1½ tablespoons cornstarch. 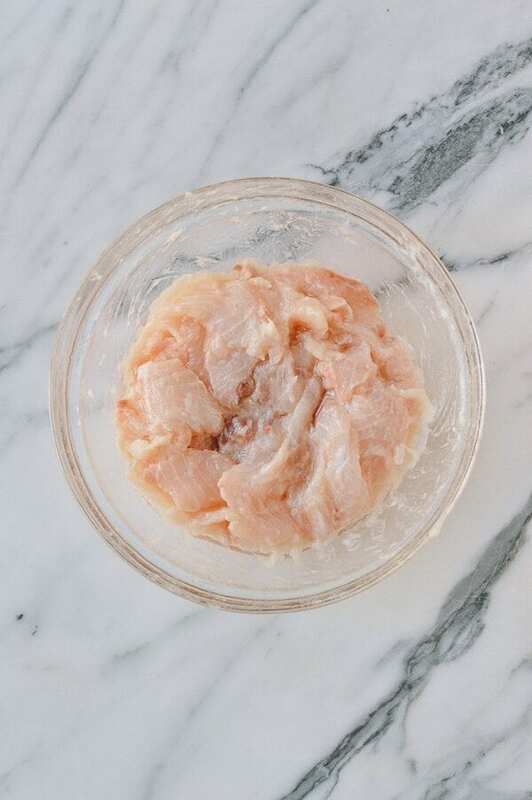 Mix until the marinade starts to feel “slimy,” for lack of a better term. 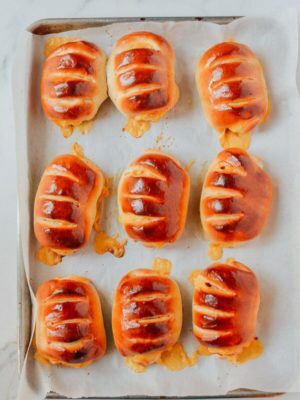 Finally, drizzle 1 tablespoon of oil over the top–there’s no need to mix it in, just drizzle it over the surface. Put the fish in the refrigerator, and marinate for about 20 minutes. 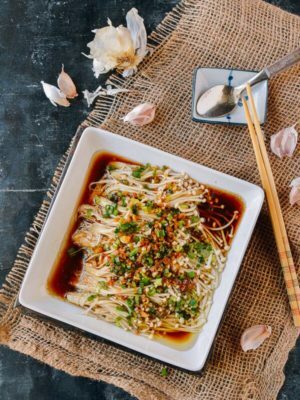 The active cooking time takes less than 10 minutes, so make sure the rest of the ingredients are prepped while the fish is marinating, and that you’re ready to eat right afterwards, because this dish is best served immediately. 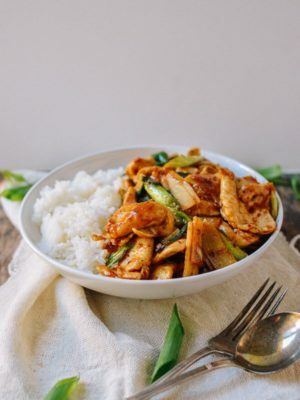 In a wok set over high heat, add the chicken stock, water, ginger, garlic, scallions, ¼ teaspoon of white pepper, and 1 tablespoon of Shaoxing wine. Bring it to a boil. Now is a good time to add salt to taste. 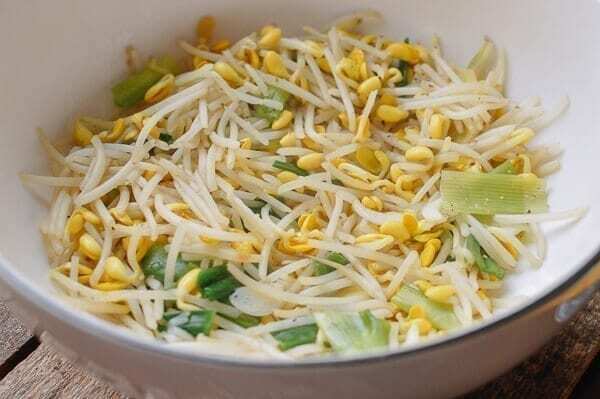 Next, add the bean sprouts, and bring to a boil once more. Cook for one minute. Now turn down the heat. 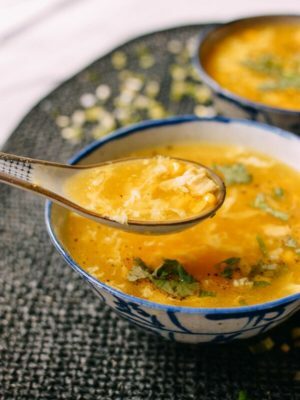 Using a fine-meshed strainer, spider, or large slotted spoon, scoop all of the solids out of the soup and transfer to a heat proof serving bowl. It’s very important that your serving vessel be heat-proof, as you’ll be pouring very hot oil into it later. Now, in a small pot, slowly heat up ½ – ¾ cup oil. It doesn’t have to be exact, but you should use at least a ½ cup. To test whether the oil is heated to the correct temperature, dip a wooden/bamboo chopstick into the oil and look for small bubbles forming around it, but no smoke. If the oil is smoking, it’s too hot! When the oil is heating, bring the soup back to a boil, then turn the heat down to low. Place your fish, one piece at a time, into the soup. Once all the fish is in the soup, turn up the heat and bring everything to a boil. Once boiling, immediately pour everything (fish and soup) on top of the vegetables in the serving bowl. 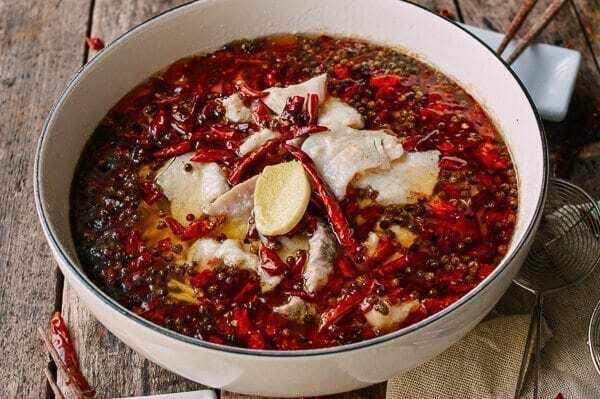 Quickly sprinkle the dried chili peppers and the green Sichuan peppercorns evenly over the fish…and pour the heated oil evenly over everything. 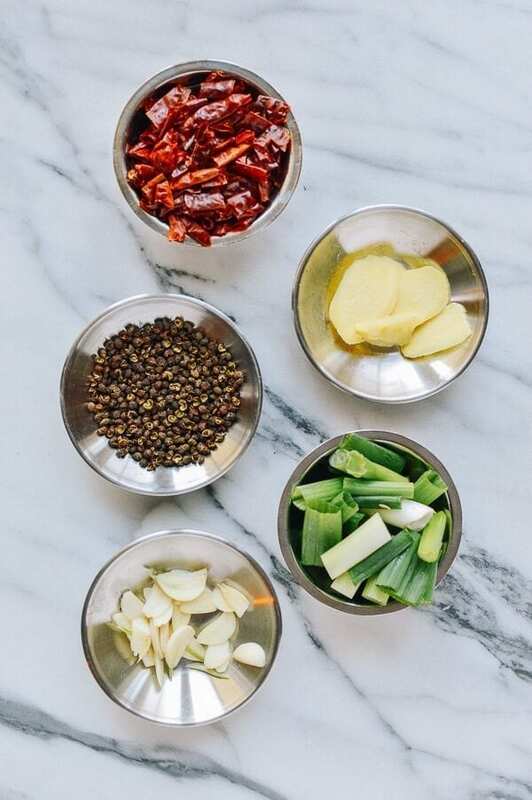 The oil should be hot enough to sizzle the chili and the peppercorns, but not hot enough to burn the spices. 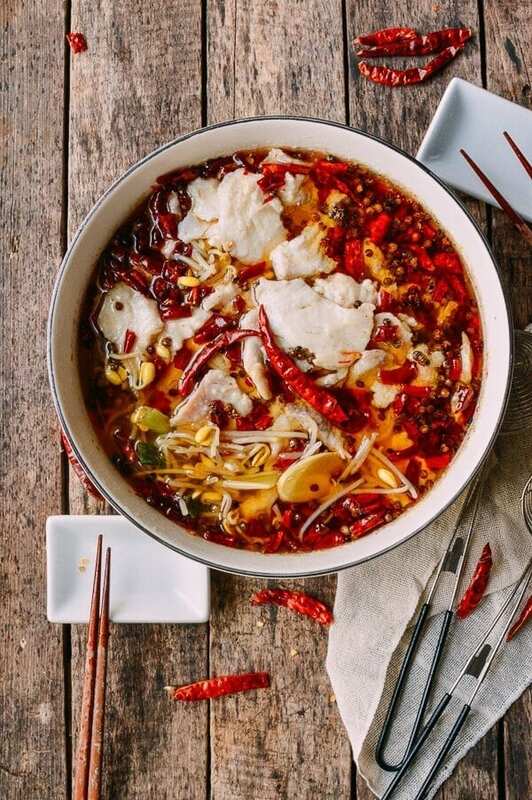 Use a slotted spoon or one of mesh scoops used for hot pot meals to serve with this Sichuan boiled fish. There’s lots of oil and spicy dried peppers to sort through to get to those tender fish fillets! 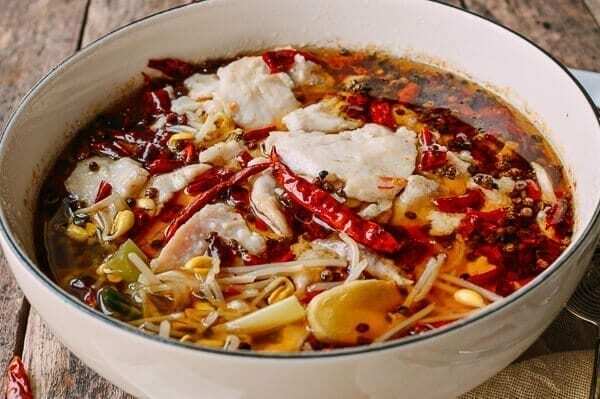 Sichuan Boiled Fish, or shui zhu yu, is a very popular dish in China's Sichuan specialty restaurants. 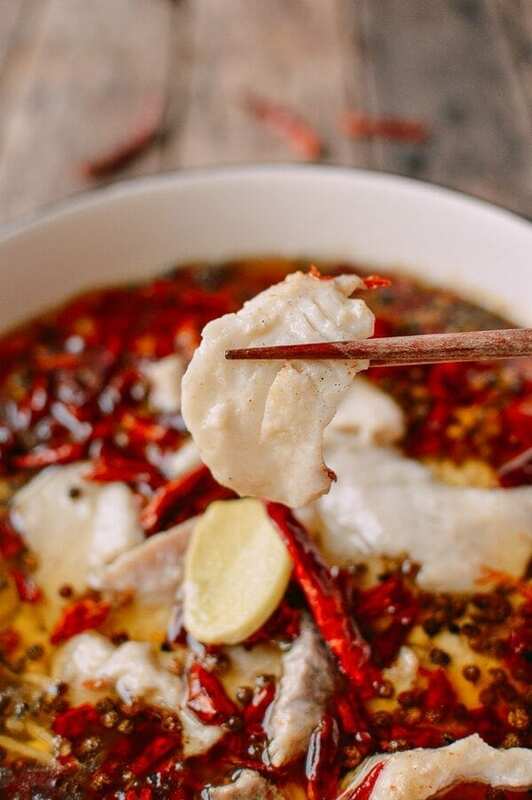 This Sichuan boiled fish is heavy on the oil, Sichuan peppercorns, and dried red chili peppers, all used to flavor the delicate fresh fish filets at the center of this dish. Next, marinate the fish. Add ¾ teaspoon salt, ¼ teaspoon ground white pepper, and 1 tablespoon Shaoxing wine. Mix (best with your hand) everything well. Next, add the egg white and mix, followed by 1½ tablespoons cornstarch. Mix until the marinade starts to feel “slimy,” for lack of a better term. 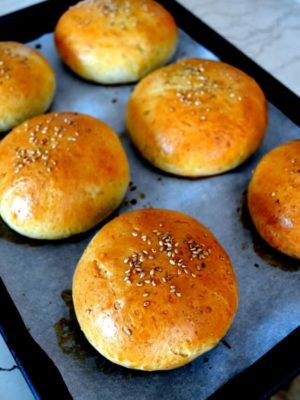 Finally, drizzle 1 tablespoon of oil over the top--there’s no need to mix it in, just drizzle it over the surface. Put the fish in the refrigerator, and marinate for about 20 minutes. 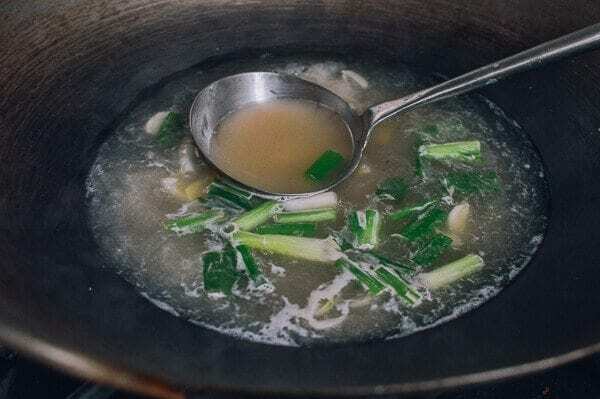 In a wok set over high heat, add the chicken stock, water, ginger, garlic, scallions, ¼ teaspoon of white pepper, and 1 tablespoon of Shaoxing wine. Bring it to a boil. Now is a good time to add salt to taste. 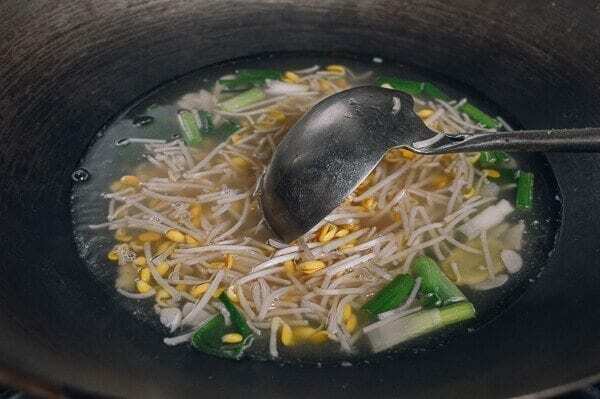 Next, add the bean sprouts, and bring to a boil once more. Cook for one minute. Now turn down the heat. 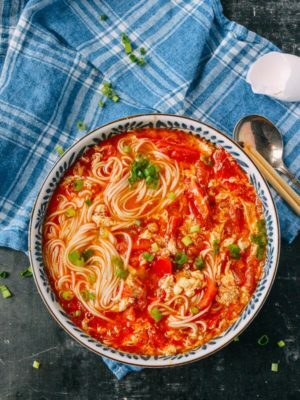 Using a fine-meshed strainer, spider, or large slotted spoon, scoop all of the solids out of the soup and transfer to a heat proof serving bowl. It’s very important that your serving vessel be heat-proof, as you’ll be pouring very hot oil into it later. Now, in a small pot, slowly heat up ½ - ¾ cup oil. It doesn’t have to be exact, but you should use at least a ½ cup. 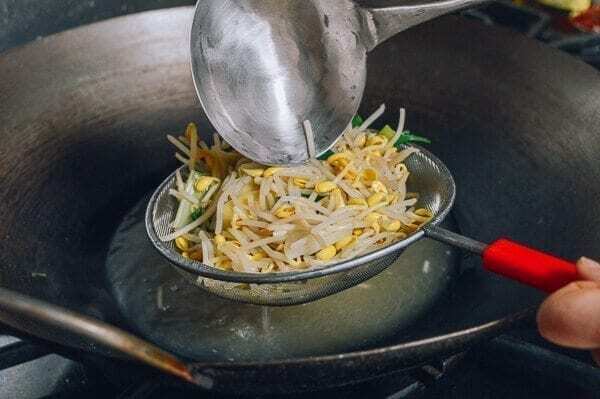 To test whether the oil is heated to the correct temperature, dip a wooden/bamboo chopstick into the oil and look for small bubbles forming around it, but no smoke. If the oil is smoking, it’s too hot! When the oil is heating, bring the soup back to a boil, then turn the heat down to low. Place your fish, one piece at a time, into the soup. Once all the fish is in the soup, turn up the heat and bring everything to a boil. Once boiling, immediately pour everything (fish and soup) on top of the vegetables in the serving bowl. 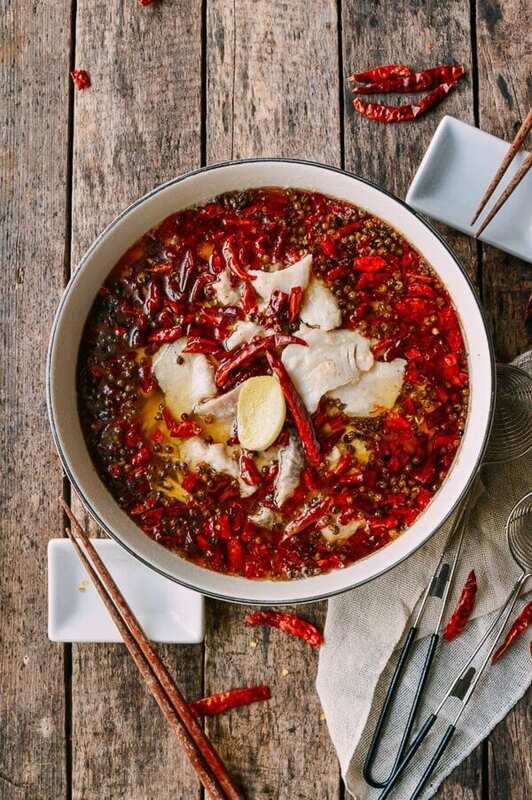 Quickly sprinkle the dried chili peppers and the green Sichuan peppercorns evenly over the fish, and pour the heated oil evenly over everything. The oil should be hot enough to sizzle the chili and the peppercorns, but not hot enough to burn the spices. Serve immediately! hi! 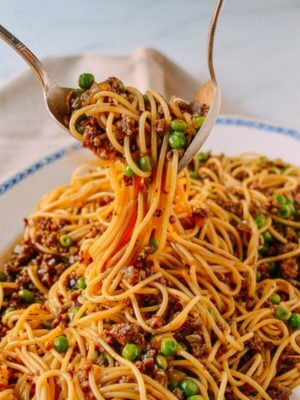 possible to use pink peppercorns instead of green? how should i adjust? thank you! 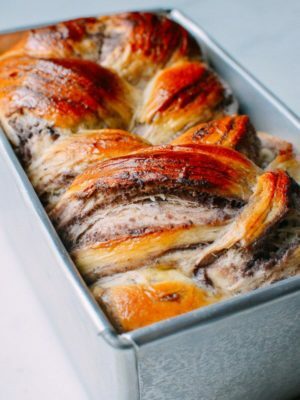 so excited as i’ve only had this dish in restaurants…and love it each time! Turned out great! Didn’t use a small enough bowl so it didn’t look as pretty, but the flavor was great. Dang didn’t know a pound of fish could be eaten so fast! 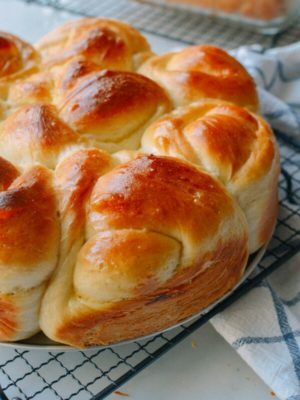 Thanks for the great recipes and site. 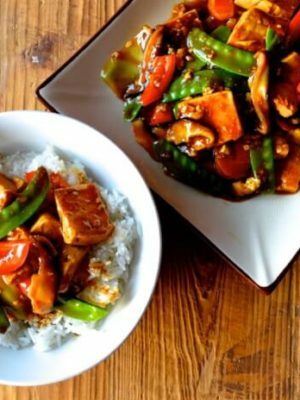 I notice that this recipe does not use douban jiang while the shui zhu niu rou uses it. 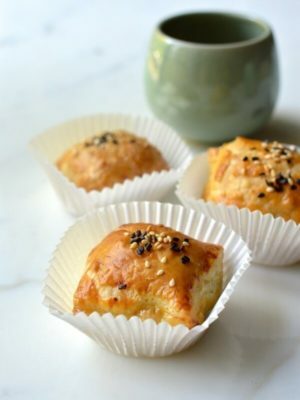 Is it more traditional to use douban jiang? Hi Arvind, you are right that traditional shui zhu yu has douban jiang in it, but this version emulates what i’ve seen in many restaurants. 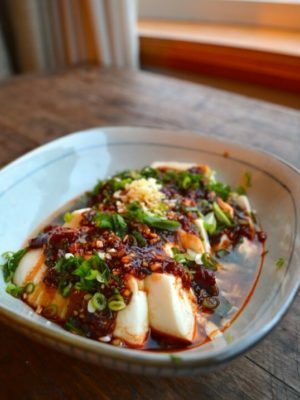 This recipe is very, very popular in China now, and even non-Sichuan restaurants are adding this to their menus. Hi Robert, the fish is cooked the same, but for 水煮豆花鱼, the bottom layer is silken tofu instead of bean sprouts, which is the regular 水煮鱼. I havw fresh small Thai chilies. 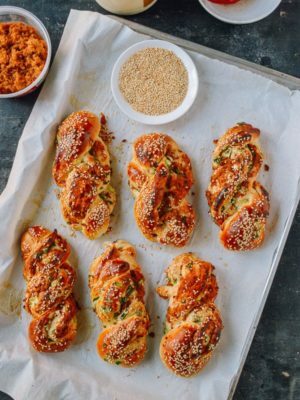 Can I use these instead of dried chilies? If so, how many? Hi Agneta, small Thai chilies are very, very spicy, especially when you cut them open. I think you should first try 2 – 3, depending on your tolerance level.